... but not wasting food, changing what meat we eat and altering our lifestyles will certainly help. 1. Livestock farming (especially for beef) produces methane (a greenhouse gas) via the natural digestive process of the animals ie cow farts. Methane is 20 times more potent as a greenhouse gas than CO2. 2. Areas of rainforest are being felled at an alarming rate with the cleared land used for cattle farming. The forests previously would have absorbed CO2 and when the soil is cultivated before being turned to pasture, it releases nitrous oxide and methane that are both stored in the soil. Nitrous oxide is 300 times more potent than CO2 as a greenhouse gas. 3. A hectare of land can feed many more people if it produces plants as opposed to animals. Sounds convincing but there is another side to these arguments. It is estimated that livestock produce 5.5% of all greenhouse gases, although in Argentina where livestock farming is the main land use this rises to 30% . But what other processes produce greenhouse gases and in what percentages? Power plants - 25-30% ie using fossil fuels to produce energy. Residential buildings - 11% through heating, air conditioning and power consumption. Deforestation and land use change - 10.3%. The land is not only cleared for livestock but also for palm oil plantations and other crops. Losses during energy production - 8.3%. Commercial buildings - 7% mainly through air conditioning, electrical devises and power to run computers. Production of cement, ceramics, glass - 6%. To produce these new materials from raw materials uses a lot of energy with the associated emissions. Then we get to livestock at 5.5%. What these figures don't show is how much of each type of greenhouse gas is produced. For livestock this is primarily methane which is 20 times more potent than CO2. This does make this 5.5% figure appear worse until you realise that methane does not last as long in the atmosphere and breaks down into CO2. Yes, this is still a greenhouse gas and yes, methane production from livestock is a huge problem but it needs to be in the context of other emissions. Livestock farming certainly produces high amounts of greenhouse gases but other processes, as detailed above, produce far more. Forests are not only being cleared for livestock production. In Asia and increasingly in Africa virgin rainforest is being cleared for palm oil plantations. Palm oil is deemed a wonder oil as it produces higher amounts of oil than any other oil producing plant. It is used extensively in processed food, including vegan food. Other areas of cleared forest are used to grow soya beans which are also used widely in vegan food. If farmers were no longer raising cattle they would have to shift to some form of crop growing on land that was previously pasture. At present ploughing existing agricultural land releases 4.4% of global greenhouse gas emissions, mostly in the form of nitrous oxide, a greenhouse gas that is 300 times more potent than CO2. Furthermore to produce consistently high yields, crops have to be fertilised. Without animals to provide manure (the pre-industrial method of maintaining soil fertility levels) farmers will have 2 options - to either grow plants specifically to be composted or to use artificial fertilisers. In reality farmers will not turn over a percentage of their productive land to make plants for compost when they can buy artificial fertilisers. Animal manure is not without its problems but the production of artificial fertiliser produces large amount of greenhouse gas emissions. And there's more. Microbes in the soil convert fertilisers (manure and artificial) into nitrous oxide and this rate has been seen to increase in an exponential manner when farmers add more fertiliser. Nitrous oxide also gets into the atmosphere when there is surface run off of polluted water and soil erosion. So whilst livestock, especially cattle, produce methane, farming crops results in high level of the more potent nitrous oxide being produced. Livestock are also fed soya, a crop that is increasingly grown in recently deforested land. However if livestock farming were to stop it is likely that this soya would be used for other purposes, such as biofuel, human food in greater amounts and a variety of industrial processes. If not soya, farmers would grow other crops, perhaps those to be used to produce plant based plastics to replace plastics made from fossil fuels. Even if the land were not to be farmed, it is not possible to replant rainforests in the way that temperate woodlands can be due to soil degradation and other factors. Land that previously supported rainforest can regenerate into a form of forest but which supports less diversity (plant and animal) and it is estimated that to return to its original form could take hundreds or thousands of years. Livestock that are intensively farmed do not simply graze on the grass underfoot and are fed additional food such as maize and soya. It is argued that this maize would be better fed directly to humans or the land used to produce food for humans. This in itself is a very simplistic statement and does not take into account that humans would not only want to eat maize but would want a variety of plants, many of which produce much lower harvests than maize, especially those that provide the protein needed in a balanced diet. 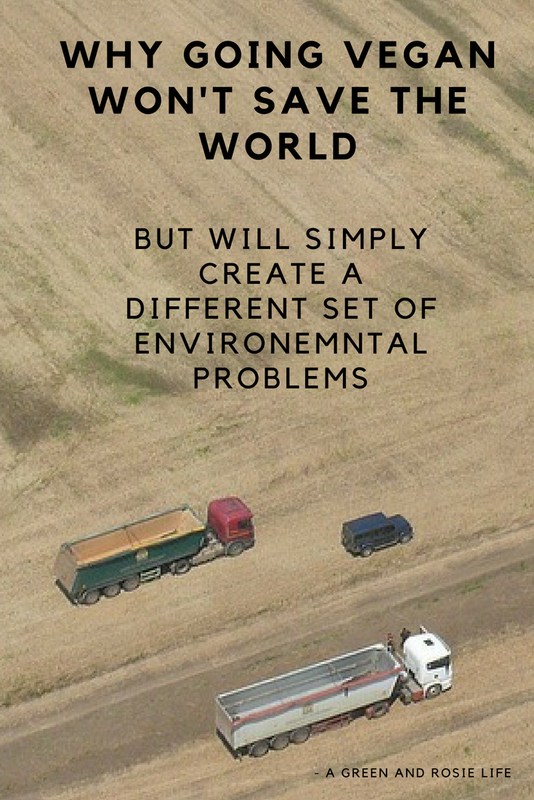 Any agricultural practice when undertaken as a large scale monoculture comes with much greater environmental damage than traditional small scale mixed farms. There is a loss of local natural habitats and monocultures rely heavily of pesticide use. Pesticide production releases emissions and there are many problems of pesticides affecting natural ecosystems and human populations. With the world's population eating a vegan diet there would continue to be monoculture agriculture. One final point, not all land can be used to produce crops. This land however can sustain populations of animals, especially sheep and goats which are vitally important food sources for populations in many parts of the world such as sub Saharan Africa. Even in temperate regions there are many areas such as moorlands and wetlands that cannot produce crops but are farmed successfully for livestock. Whilst is is beyond doubt that livestock farming produces large amounts of methane and rainforests are being cleared for more livestock to be raised, switching to an all crop based agricultural system would be accompanied by its own problems of greenhouse gas emissions, pollution, deforestation etc. Eating less meat overall and switching to pork and chicken would lead to fewer emissions as these animals produce lower levels of methane. Wasting less food would be hugely beneficial. It is currently estimated somewhere between 30-50% of all food produced is wasted both on the farm, in transport, during processing and in the home. Landfill produces 3% of global greenhouse gas emissions, almost all as methane from rotting wasted food. The reality is we need to radically re-assess how we eat and more importantly how we live. There are other more damaging processes such as energy production, road transport, buildings that have more negative effects than eating meat. We certainly should be eating less meat, especially intensively reared beef and we need to be much less wasteful of our food. Switching humanity to a vegan diet may be less harmful overall but it will not solve the world's environmental problems and will result in a shift from one set of problems to another. I can see what you are saying, veganism wouldn't save the environment on it's own it is more complex than that. However, less land is needed to grow plants than raise animals and the carbon footprint of meat and dairy is generally higher than plant based food. I agree with you, Sarah and our environmental problems are extremely complicated and the future impossible to predict. The purpose of this post is to counter the fact that some people imply that a vegan lifestyle is the one thing people should do to save the world. It isn't and everything we do has an impact on the planet. I would love to see the end to factory farming and intensive livestock production but I do not believe that turning humanity vegan is the answer to our all our problems. You've raised some interesting points - there are so many factors that contribute to global warming, and all of the other issues, that just changing one thing like becoming vegan, isn't necessarily the answer. I think you're right in that we need to take a good look at how we live currently. There are so many things that could be changed for the better, plus I don't think the throwaway culture and lifestyle we have now is helping, nor is it sustainable. I love this! This is how my mind works. 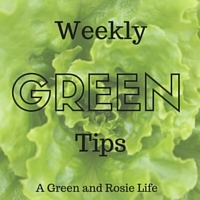 Its one thing to embrace a greener lifestyle, it's another thing to understand the science behind it. We need more education behind why we do what we do. What an interesting read about a topic I certainly need to learn more about. It is evident that changes need to be made soon! Very interesting to hear both sides of the argument. I think like you say simple changes would help rather than go completely vegan, which most people find too daunting to even consider. Wow great! Found this very interesting and well written, well done! I agree so much with you, great point here. Thanks for sharing. I was vegetarian as a teenager for 12 years, because I thought it would help change everything. It didn't (it just made me anaemic!) I wish I could live without meat (I love dairy and eggs too much to consider veganism), but it's a strategic, important part of our family diet. But you are right in that the choices WILL make an impact. We only buy meat raised locally, and limit red meat to once a week. I found it very informative. Definitely food for thought. I am not vegan but many people I know are and they think that is the solution. I enjoyed reading your post. I am not a vegan but I try not to eat to much meat myself. You are missing one vital point in this post, and that is veganism is actually about animals. The definition of a vegan is: "Veganism is a way of living which seeks to exclude, as far as is possible and practicable, all forms of exploitation of, and cruelty to, animals for food, clothing or any other purpose." Lots of people refrain from animal products for environmental reasons too but at the end of the day the vegan movement is primarily about ending the mass breeding of animals to inevitably be exploited and/or killed for things we do not need. For me, being vegan is as simple as each time I make a consumer decision - 'has something certainly died for this?' if the answer is yes, I simply buy something else. You can't get it completely right in this world but it is so excuse for not trying. The environmental benefits, health benefits and the fact my food shopping is a lot cheaper are just an added bonus!! Yes, soya use for humans would likely increase if more people were to go vegan. However, there are a lot less humans on the planet than farm animals! You have also mentioned palm oil, but you will find that those who are vegan for environmental reasons also do not consume palm oil. In fact, many will not anyway because of the plight of the orangutans. Bringing up things like palm oil doesn't make sense, as it applies to the general population not just vegans, and I think you will find vegans tend to be a well-researched bunch who already know about this. An overhaul in the way in which we consume is needed in all areas but I think that it is important to bare in mind that for those of us who live in the western world, veganism is the one simple change you can make, right now, that can make a huge difference in your impact on the planet. 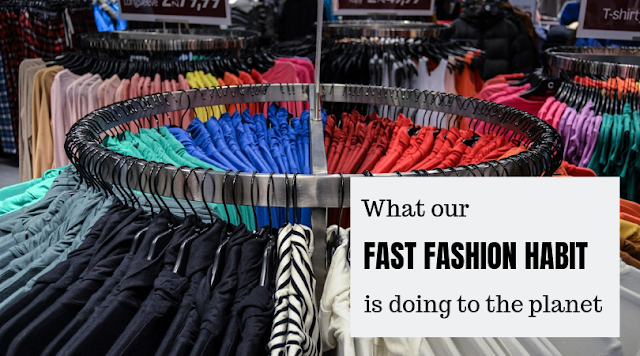 As a consumer you have choices to make that may seem minor but companies only produce what you buy. People seem so resistant to change, I was too, but vegan food is still food and you won't be hurting anyone - that's kind of the point. Please when you think of veganism remember the animals as well as the planet, none of them asked for this and they certainly don't deserve it. Ask yourself what the difference is between a cow, dog, monkey, human, pig, and in their capacity to fear and feel pain we are all the same. P.S. for anybody reading this who takes offence at a vegan's position - this comment is from a place of love for all beings and the planet, not judgement. I do not disagree with what you are saying but this post isn't about animal cruelty. 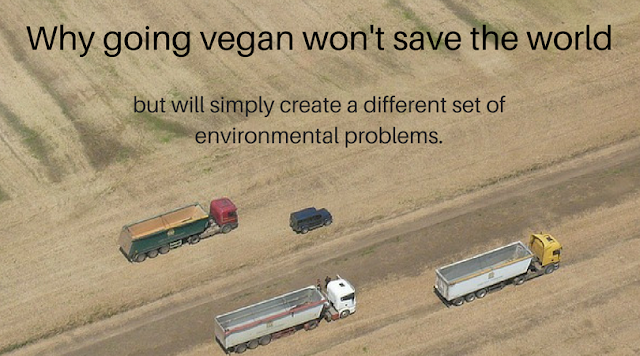 It is about the fact that some people say that by going vegan we will sort out all the problems the earth's problems and this simply isn't true.